In the first week of August, DreamWorks studios showcased two of their upcoming movies for 2005: Red Eye, starring Cillian Murphy and Rachel McAdams and Just Like Heaven, starring Reese Witherspoon and Mark Ruffalo. 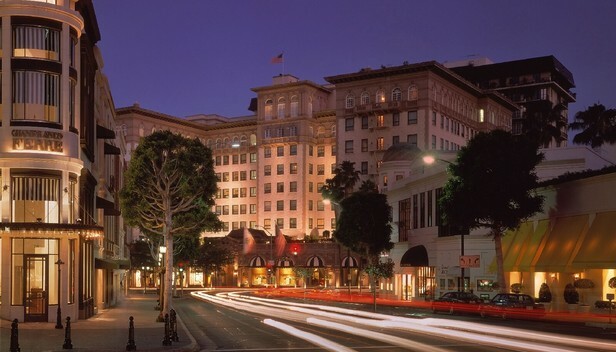 That weekend, DreamWorks held roundtable interviews and Press conferences at the prestigious Regent Beverly Wilshire. After a wonderful breakfast, catered by the hotel but provided by DreamWorks, it was time for the Red Eye roundtable interviews. Red Eye is a suspense-thriller, directed by Wes Craven, set predominantly on a plane. Rachel McAdams plays Lisa Reisert, a hotel manager who is caught in a surreal and dangerous situation when she boards a flight and sits next to a professional assassin, Jackson, played by Cillian Murphy. Jackson will kill Lisa’s father if she doesn’t help Jackson assassinate the Deputy Secretary of Homeland Security who’s staying at her hotel. First time screenwriter, Carl Ellsworth, director Wes Craven, along with Rachel McAdams and Cillian Murphy were available for interviews. Cillian Murphy, excited at being considered for the role, flew from Ireland to LAX just to have a forty minute lunch with Wes Craven and then flew back to sign the books at the Registry Office for his wedding with his fiancée the next day. Out of twelve feature films, Cillian has played two villains in films closely released to each other in America, but he’s not worried about being typecast, as he slouches comfortably in his chair, dismissing the idea. “I think audiences are smarter than we give them credit for and I think they’ll understand that an actor is playing a role and that doesn’t mean they can’t play different types of roles.” Murphy can be seen in the upcoming film Breakfast on Pluto, directed by Neil Jordan. Rachel McAdams, sporting her original blonde hair, shared her thoughts on being cast. “It all just made sense at the time. It was a genre I hadn’t worked in before. I was just flattered out of my shoes that Wes Craven even knew who I was. I think he’s a master at making these thrilling, edge-of-your seats films.” On playing Lisa, McAdams said, “I enjoyed the challenge of playing just a normal girl, finding herself in these extraordinary circumstances and—believably—fighting her way out of it. Not becoming this sweaty, tank top, Uzi-carrying superhero.” Before she left, I gave her a wink. She smiled at me. I’m getting her name tattooed on my arm tomorrow. After a break we had a fantastic luncheon, once again provided by DreamWorks. If nothing else, I must say DreamWorks knows how to take care of its people. Then it was more roundtables with the cast and crew of Just Like Heaven. Just Like Heaven is an oddball romantic comedy about a widower named David who moves into an apartment only to find the spirit of the previous tenant, Elizabeth, still living there. Together they find out who Elizabeth is and why she is cosmically connected to David. Writer Leslie Dixon, who has had a long-standing career in Hollywood, shared her experiences with actors and her scripts. “Sometimes I want to blow them up. Kevin Spacey and Helen Hunt, to name a few. Conversely, you have Pearce Brosnan and Renee Russo. I’d write for them again in two minutes.” As a bit of trivia, Leslie’s old San Francisco apartment is used as one of the sets. Before the next roundtable, we were ushered to the mezzanine level for the Press conference with Reese Witherspoon. Looking just as beautiful as she does on film, Witherspoon expressed that her real-life role as a mother and role model is what drew her to Just Like Heaven. She identifies with the spiritual message, stating that she “was fated to be with her husband.” Somewhat bashfully, she confessed that the craziest thing she’s done for love is flown half-way around the world to be with Ryan after knowing him only for two months, over the phone, no less. Oscar buzz has already begun about her role as June Cash in the upcoming film Walk the Line with Joaquin Phoenix, but for now, Witherspoon is content to focus on the present. The day finally came to an end and the journalists retired to their respective hotels or, like me, to the parking lot on the freeway, heading home to write about people with more interesting lives than our own.